New rules of the posting of workers in 2020. The countdown. 730 days are left for the companies operating in the EU to prep for the service provision conducted in accordance with the new, trickier rules. On Sunday, 29th of July the revision of the Directive on the Posting of Workers entered into force and commenced the 2-years long implementation period and countdown to its taking effect. It is an important yet quite a unique solution. 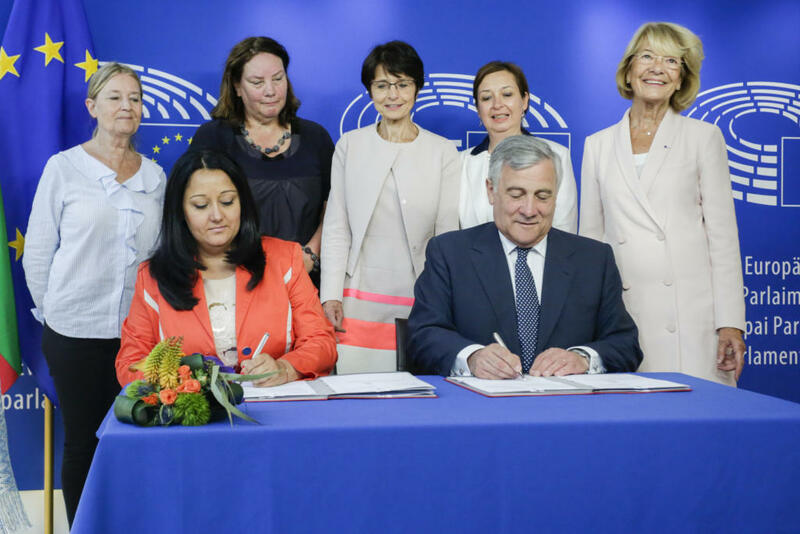 The deadline for the Member States to implement the new rules of hosting the posted workers is 29th of July 2020. However, the new rules, even if fully implemented, are not to be effective before that date. The Directive is addressed to the (receiving) Member States, but the employers will be the ones responsible for operating according to the new rules. 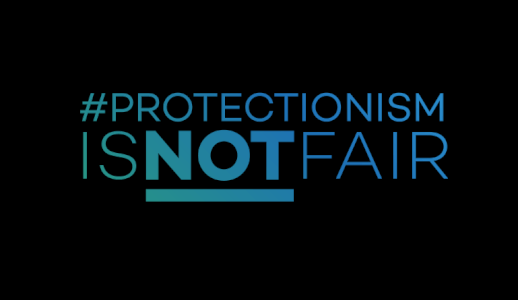 The date of the new Directive’s entering into force is not a breakthrough and it doesn’t lead to sharp limitation of the freedom to provide services. It simply starts the countdown to a step-by-step limitation of the competitiveness of the smaller economies of the Single Market. Therefore, there is over 18 months left to match the stronger economiec. Otherwise, there’s a threat of convergence over us, which means obligation to comply with the “same pay” programme done Juncker style: ‘your pay doesn’t depend on your skills, experience nor work ethics. It doesn’t depend on who you work for. It only depends on where you perform your work’. On the EU economic peripheries, the work is not profitable. Economic epicentre od the EU is the only place in which there are no second-class employees. For the LMI, 29th of July is a breakthrough. We have 730 days to prepare Polish service providers for the new rules of the posting of workers. For us, it’s the end of a period of demonstrating the contradictions, analysis of the incoming amendments, comparing labour costs and promoting the fact-based policy. Well, that is as for the Directive. 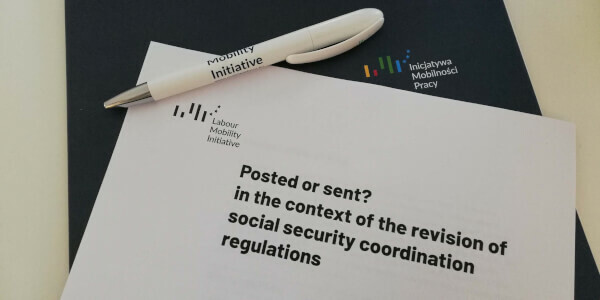 Meanwhile, the works on the social security systems’ coordination, European Labour Authority and Transparent and predictable working conditions are in progress. The Directive entering into force for the LMI is a period of providing information and preparing the posted workers and theis employers to operate in accordance with the new rules. Either the success or failure will be measured not only by the labour migration of the high-skilled workforce, but by the severity of a phenomenon of moving the service companies to the economic epicentre of the EU. As far as a decade ago, Poland has transited from an economic backup to the centre of cross-border services of the EU. Despite the unfavourable revision, we intend to keep that advantage. The strongest tool the LMI has is the expertise based on the exchange of experiences and knowledge, which we will extend and share for the next two years. 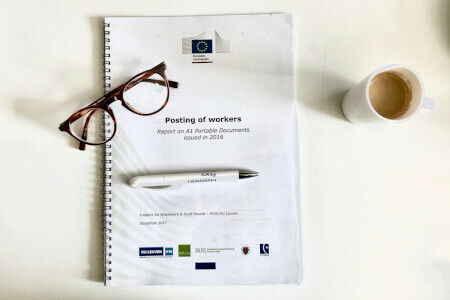 Below, a brief comment of the two major changes within the revision of the Posting of workers Directive: remuneration and the posting period. Further commentaries will be published soon. Member States shall ensure that a worker posted to their territory receives from its foreign employer remuneration calculated in way determined by the law, collective agreements and custom – applicable in the place where the work is carried out. It does not only concern the amount of the remuneration, but its construction (elements). Employers’ new obligations include recognition and correct interpretation of the above mentioned rules. not so bad, if they derrive from the legal provisions or commonly applicable collective agreements. The uncertainity arises when, in a particular region, sector or profession, are valid collective agreements, which are not published in an obligatory manner. Determination of the elements and amount of the remuneration is crucial for those posted workers, who base their decision about going abroad on that information as well as for the recipient of the service, since its price depends on the costs of employment. Now, double good news. First, on the single national website each Member State shall publish information about the rules of remuneration (and other obligatory conditions of employment) of the workers posted to that country. Second, as for the liability for compliance with the rules of remuneration of the posted workers, it was adapted as cumulative, not component liability. It means that in imposing a penalty for incorrect determination or payment of remuneration, the fact that the information of the single national website was incomplete or outdated and the fact that the employer has payed the correct amount of remuneration based on that information, will be taken into consideration as the attenuating circumstances. Member States shall ensure that after 12 months of a cumulative period of posting workers by the same employer to carry out the same task, all of the provisions of the labour law, resulting from the collective agreements and custom of the receiving Member States are applicable. The rules should cover the workers for which the period of 12 months is exceeded during a single posting and the workers that are replacing them. There are no provisions that would make clear whether that period is somehow terminated or reset. However, unity of the place, employer and task cause that the service provider will strive for that one task to never last longer than 12 months. The service will consist of multiple caducous and differring tasks. Interestingly, in order to apply the local labour law, the employer, task and the place where the work is carried out have to be the same. But not the worker. The worker covered by the labour law provisions of the receiving MS can be different, than the one who intiated the task. Therefore, the regulation does not protect the posted worker from the less favourable labour law provisions. But, it protects the place where the work is carried out from the posted worker (sic!). However, the good news is that this peiot may be extended for another 6 months upon a reasoned notification submitted in the receiving country. Moreover, the limitation doesn’t concern neither the rules of concluding and dissolving contracts nor employee pension schemes. For the ones, not up to date with the legislative and negotation process in the EP and the Council, such combination of exceptions must look odd. Important consequence of regulation of the posting period is the invalidation of the choice of law made by the parties based on the freedom derriving from the Rome I Regulation. It is doubtful whether that freedom can be limited through the Directive and it will definietly result in disputes. The Directive enforces breaking the rules of the Rome I Regulation not earlier than on 29th of July 2021, which is after exceeding the 12-month posting period. Unless, in the absence of transitional provisions, the labour inspection of the receiving country will be willing to consider, that on the 29th of July 2020 the periods of posting ongoing cumulatively for over 12 months, have the effect of full application of the labour law of the receiving country. That day would be wednesday.